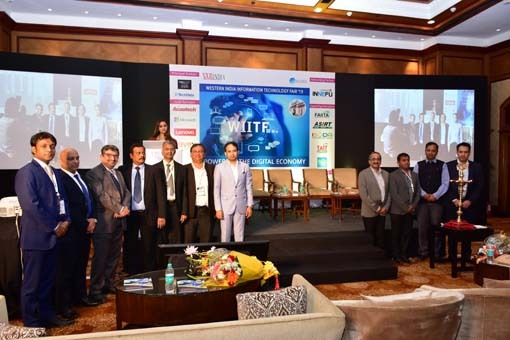 The much-awaited VARIndia IT Forum ended on an optimistic note in New Delhi with much fanfare, attracting a gathering of leading figures from Government, PSUs and representatives from the IT industry. VARIndia IT Forum provided an excellent opportunity for the fraternity in India to witness some of the thought-provoking deliberations by various stakeholders. The topic for this year's event, which aroused the curiosity of the audience, was "Building a Collaborative Platform for Government, Institutions and Pan-India SME Business Opportunities". The guests were also found engrossed in listening to the core issue "Broadband Connectivity to Rural India" discussed by the panellists and the resource persons. VARIndia IT Forum - 2010, a unique platform to understand and evaluate government and private partnership towards making e-Governance projects successful across the country, was opened with the lighting of the auspicious lamp by Chief Guest Shri Subodh Kumar, IAS, Additional Secretary, Department of Telecommunications, Government of India. The Forum, which happened to be the eighth in a row and spanned a whole day, was kick-started with Deepak Sahu, Managing Director and Publisher, Kalinga Digital Media Pvt. Ltd., delivering the welcome address to the guests and delegates. In the inaugural speech, Shri Subodh Kumar said, "Wireless Broadband is paving the way for the country to the next level of development. The enormous scope and avenues that it is opening for a country like India are, indeed, commendable. Rural India connectivity, which is a burning issue, is soon getting addressed. Looking at the huge opportunities that it is throwing up to the different sectors of the country, it is going to spread really fast." Commenting on the present scenario of IT and Telecom sectors in the country, Shri Vipin Tyagi, Director, C-DOT, in his address, said, "In spite of many obstacles that are holding back the overall growth of this industry, the number of subscribers in this country is on the rise. There are around 600 million subscribers, out of which 68.09% are from urban India, while 37.97% are rural based." He also gave a presentation on the working and functioning of C-DOT, emphasizing largely on networking technologies and rural connectivity. In the first session of VARIndia IT Forum, the officials of the Government, PSUs and IT corporates shared their ideas, experiences, strategies and cutting-edge research acquired in their respective areas. Laying stress on PGCIL's telecom business, Shri Atanu Dasgupta, General Manager, PGCIL, said, "The telecom revolution that had taken the country by storm a few years back, still continues today. The new thrust on spreading broadband to the rural areas is also going to change the landscape of the country. The 3G auctioning that the Government is facilitating in the country will also open new avenues to the telecom service providers and also encourage new players to enter the market." Focusing into the core infrastructure on e-Governance that enthralled the audience, Shri Ashish Sanyal, Sr. Director, Department of Information Technology, Ministry of Information Technology, said, "The important role that ICT is playing in executing the crucial e-governance projects in the country has proven to improve the reach, enhance the base and minimize the processing costs. The ICT is being increasingly used by the governments to deliver its services at the locations convenient to the citizens." In his keynote address, Shri Savitur Prasad, IAS, Secretary-IT, Government of Delhi, presented a strong case for the IT initiatives taken by the Delhi Government. "Delhi Government has established India's first Government Radio Network (GNR), providing state-of-the-art Terrestrial Trunked Radio (TETRA) communication system to the government agencies, participating in the hosting of Common Wealth Games in Delhi." Shri Deepak Chanduka, Group General Manager-IT & Networking, TCIL, briefed the audience about the company's contribution and the advancements made in the telecom sector. "TCIL has a big global presence and has undertaken many projects worldwide of late, the prime being the Pan-African project that has been executed in 43 countries of Africa in the field of telemedicine services. Besides BSNL, we work with several private partners in the IT and telecom sectors. We are currently working on a project, namely, 'Fibre to Home' that would connect the entire city through fibre." Presenting the roadmap on the working of Railtel, Shri S. C. Hans, General Manager-Laws and Company Secretary, Railtel Corporation, said, "Railtel has been engaged in the business of telecom for the last eight years and also playing a vital part in assisting the Indian Government in providing rural connectivity. We have been able to successfully connect around 100-1,000 villages. We have almost all the major telecom operators as our clients and we are engaged in assisting them in deploying different projects." Pitching for greater Belgium-India partnership in technology innovation, Mr.Ralph Moreau, First Secretary, Flanders Investment & Trading Agency, Embassy of Belgium, in his address, said, "We are India's fifth-largest trading partner and the one common thing we do together is technology. Virtualization is the new buzzword in today's business environment and we see a whole lot of companies moving to cloud computing. We are also rolling out various technological devices in Europe, which we would love to share with you later." Showcasing some of the major projects that CRIS has initiated, Shri S. S. Mathur, General Manager-IT, CRIS, said, "CRIS designs, develops, implements and manages IT applications for Indian Railways. We develop some of the softwares on our own and outsource the rest to some extent. We also provide consultancy services and procure technology for the Railways and other government agencies. We also collaborate with R&D institutions and universities to make our services available to them." 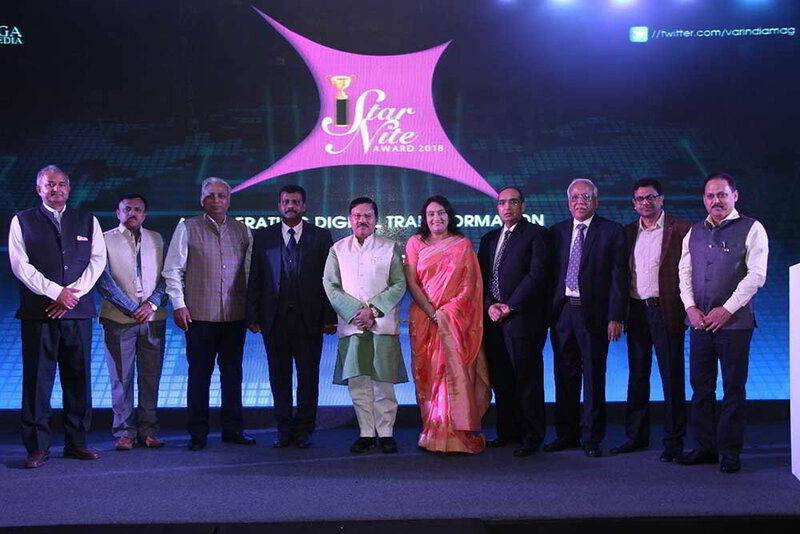 The panel discussion witnessed some of the best minds of the industry and the Government together on one stage. The esteemed panel comprised of Mr.Asoke K. Laha, MD, Interra IT; Mr.Savitur Prasad, IAS, Secretary - IT, Government of Delhi; Mr.Atanu Dasgupta, General manager, PGCIL; Mr.Vipin Tyagi, Director, C-Dot; Mr.N. K. Goyal, President, CMAI ; Mr.J. P. Garg, Principal Adviser, Nokia Siemens Networks; Mr.R. K. Bahuguna, Director, Network Planning Marketing, RAILTEL Corporation of India and Mr.S. S. Mathur, GM - IT, CRIS. 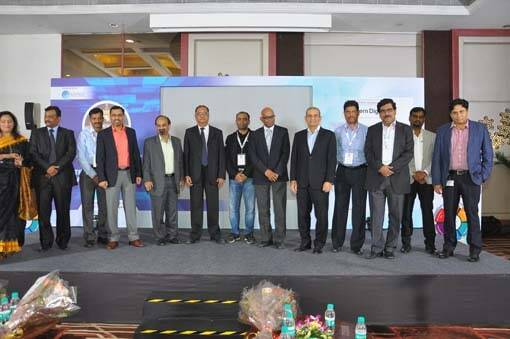 The VARIndia IT Forum witnessed the presence of delegates from the Ministry of Communications and Information Technology, Government of India, RailTel, TCIL, BSNL, C-DOT, CRIS and other PSUs, who spoke about their IT roadmap and policy framework, resources, ongoing projects and bottlenecks. The Forum also attracted representatives from IT companies who gave presentations on their competencies and advantages as to how they could be the preferred partners in various government projects. An added attraction of the VARIndia IT Forum was the Award ceremony. The awards were given away in two categories: The Brand of Excellence and the Most-Trusted Company. In the category of Most-Trusted Company, vendors like Canon, Smartlink, LG, SAP, Intel, Cisco and HP won the awards, whereas in the Brand of Excellence category vendors like Iomega, NetApp, Microsoft, IBM, Check Point, Dell and Blue Coat systems received the awards.